Our dress is starting to take shape, and today we are putting in the lining! If you missed the last post, have a look at how we put the bodices together. Before we get to the lining, let's prepare the straps. 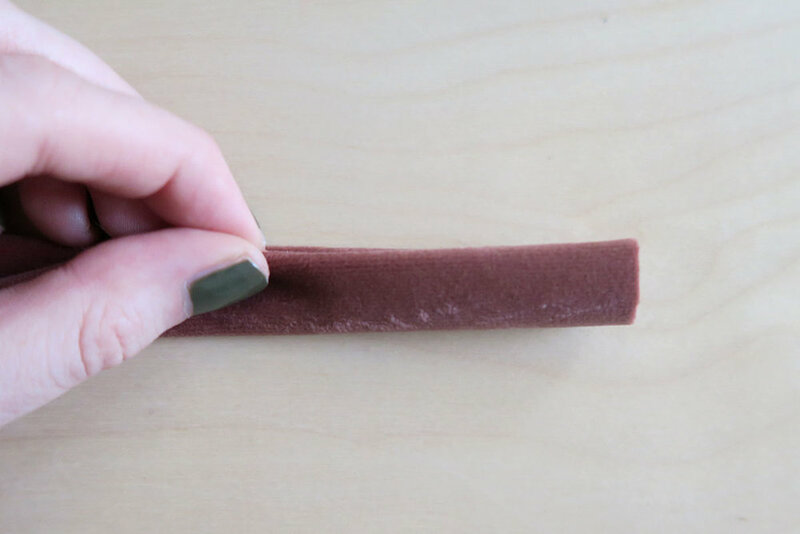 Fold the strap piece in half lengthwise with right sides facing. Then, using the crease as a guide, fold the edges in towards the middle. This part is a bit like making bias binding! Finally, fold the strap in half entirely so that the raw edges are enclosed. Pin in place and stitch close to the edge. My strap ends up quite chunky because of the nature of the velvet, but a light rayon or georgette makes for a very light and dainty strap! Place the bodice self in front of you with the right side facing up. Lay the straps onto the bodice, flush with the upper edge at the placement marks. Pin in place to keep secure while you work on the next step. 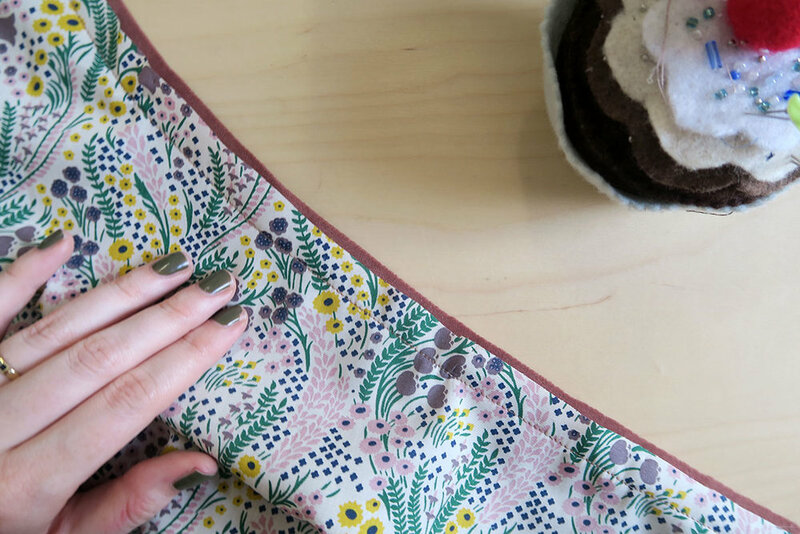 Match your lining to the bodice self with right sides facing each other. I find it helpful to offset the lining by a few millimetres. Once it's sewn, this helps it to roll toward the inside of the garment. Sew along the upper edge of the front and back bodice, skipping over the tops of the shoulders where the straps will go in later. Grade your seam allowances (essentially, trim them to different lengths to reduce bulk in the seam), and clip into the curved edges so that the edges of the bodice turn out smoothly. I usually find that a gentle press is enough to keep my lining on the inside of the garment, as below. However, the weight of the velvet makes for a slightly more bulky neckline, so in this instance I am going to understitch. 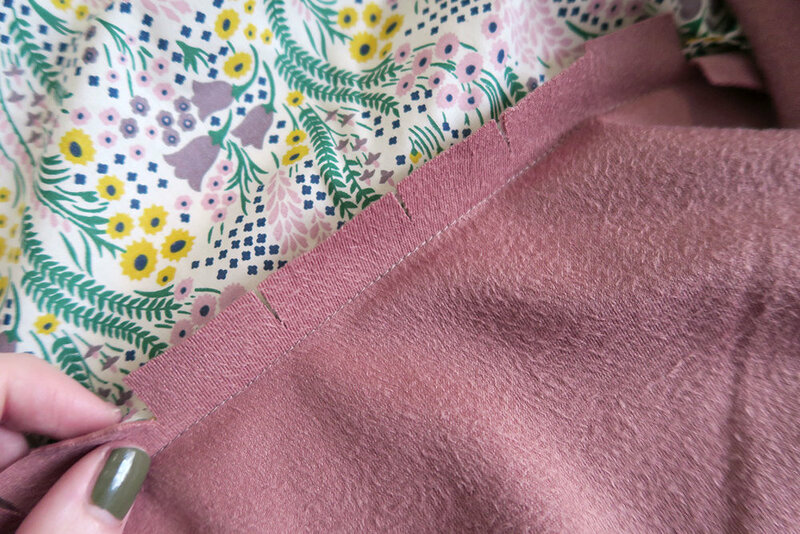 Understitching is essentially sewing very close to the seam line, attaching the lining to the seam allowances as you go. Make sure that the seam allowances are pressed towards the lining on the inside. From the right side, stitch through the lining and the seam allowances, close to the attachment seam. Nice and tidy! Now our Sparrow is really starting to look properly three dimensional!